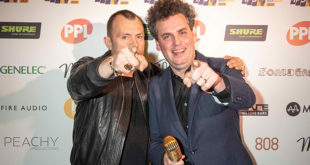 Continent's top festivals, artists and promoters honoured at sixth annual ceremony, which took place in The Netherlands. 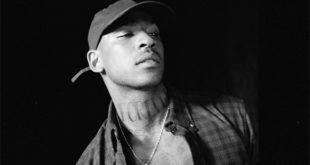 Europe’s top music festivals, artists and promoters of 2014 were revealed at the sixth annual European Festival Awards last night, which took place at Groningen’s De Oosterpoort in The Netherlands. Presented in association with YOUROPE and Eurosonic Noorderslag, the European Festival Awards are described as the only pan-European body solely dedicated to recognising the contributions and achievements of the event organisers and performing artists that generate billions of Euros for local economies and brighten up the summer for tens of millions of festival-goers each year. The winners were decided by a combination of public votes and the EFA jury – made up of journalists, booking agents, festival organisers – who had a 25 per cent say in the final outcome of the public voted categories. 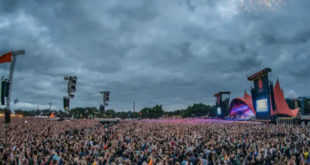 More than 1.2 million votes from festival fans all over the world were cast (a 100 per cent increase on last year’s figure) with festivals in more than 35 countries taking part. Steve Jenner, co-founder and director of Festival Awards Ltd, which organises the Awards, said: “It’s inspiring to have a winners’ list that is so reflective of the cultural diversity and strength of passion, dedication, creativity and quality of delivery that underpins Europe’s incredible festival scene today. Despite the competition in an increasingly crowded market, and under some tough conditions in recent years, tonight saw Europe’s festival organisers gathering to celebrate as one industry.